File sharers will pay for music too | What Hi-Fi? Of the 1008 people surveyed in the online poll, the majority said they would pay 45p for an individual track, with just two per cent saying they'd pay more than £1. And 75 per cent of 16-24 year olds who responded said they were prepared to pay for MP3s. 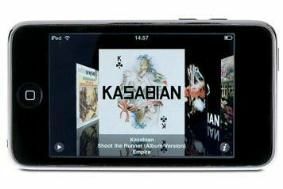 Half the group polled accessed music officially via YouTube, but one in ten of those questioned aged between 16 and 50 admitted they downloaded music illegally. Yet the survey also found that those who download music illegally also spend an average of £77 a year buying it legitimately. Those who claimed not to use filesharing websites spent a yearly average of £44. Music streaming service Spotify was used by nine per cent of the group, most of whom had not paid up for the paid-for premium service. But Spotify was rated highly for being easy to use and providing access to a wide variety of music. The survey also found that 22 per cent of respondents said they listened to internet radio.